This episode is all about “ditch medicine”. Ditch medicine makes due with what you have on hand. The idea is to stay alive (or keep someone else alive) with whatever is available, until you reach help or help finds you. Sometimes this includes herbs, sometimes this includes pharmaceuticals, and sometimes, it might even involve plain old dirt. 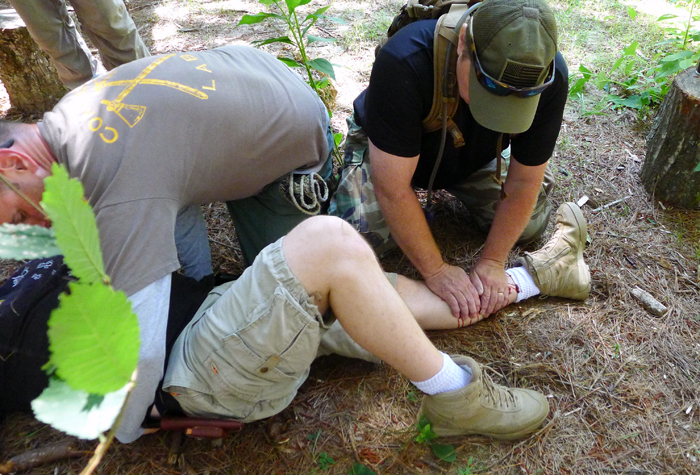 To get a better idea of what ditch medicine is all about, and how it can benefit preppers and survivalists, I’m bringing on a guest who knows all about it. Chuck Hudson, my co-host on The Medic Shack, is a former combat medic, EMT, firearms instructor who teaches emergency skills and “Battlefield Medic” courses in the southwest. 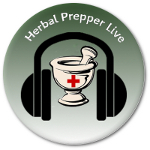 Chuck promotes knowing how to use both biomedicine and herbal medicine to prepare for the unexpected crisis. His classes incorporate advanced first aid, emergency medical procedures (such as suturing and starting an IV), many standard supplies from biomedicine. The key is knowing how to adapt and doing so quickly. Tune in to hear about common injuries and health emergencies during civil unrest from someone who has seen it, and treated it, first hand. Chuck has seen what happens to a city devastated by war and societal upheaval. If you are concerned about the economy, the real unemployment rate, the tension in our cities, or the rising costs of food, his experience can help you strengthen your medical and defensive preparedness. This episode will help you prioritize your response to medical emergencies when you job is to get an injured or ill person to safety. Our discussion will include how to care for wounds, burns, infections, sprains, and other injuries in a crisis situation, using whatever is on hand. Whether you store herbs or fish antibiotics, this episode should get you thinking about medical options and alternatives for the worst of times. Listen to this broadcast on Ditch Medicine go to Listen & Chat tonightbelow! Previous: Previous post: Water and the pumps to get it! Next: Next post: What’s In Your Food?